Find out the vehicles manufacturers date. The day the vehicle rolled off the assembly line and not the day it was picked up. Look for this information on the inside of the driver’s doorjamb or just under the car hood, in front of the radiator. As a rule, most vehicles on a dealers lot will be two months old after the date of manufacture. The vehicle needs this amount of time for the paint to properly cure before applying wax. Apply liquid or paste wax directly onto the washed surface. This will maintain the water resistance the new finish had. Apply the paste wax as thin and uniformly as possible for best results. You can apply liquid wax heavier than a paste. Four fluid ounces are generally required to wax a mid-size car. As the wax begins to dry it will start to change from translucent to white. At this point wipe off all excess before moving onto the next section. Tell your customers that new cars should be washed every two weeks to prevent a build-up of road tar and pollution stains. Using a carnauba detailer after a wash will also boost the shine and protection of the wax. A vehicle that has not had any kind of detailing service for a few years can need special care and a lot depends on the climate or where the vehicle was kept. Look for obvious signs of neglect such as paint degradation. There will be a lack of water beading and rinse water will just lie flat on a horizontal surface. 1. The surface clear coat resin will begin to break down. This is called polymer scission and ultraviolet rays will begin this process. 2. Look for damage caused by acid rain, local pollution, soil and road grime, and minerals. These will etch the upper paint surface of a car. A very dull appearance replaces the once clear finish and there will be a series of light swirl marks on the finish, as well. To remedy this, deep clean the car. Apply a pre-wax cleaner or swirl remover to take care of the surface contamination. For the swirl marks, use a scratch and swirl remover as a pre-wax. Apply a paste or liquid wax immediately. Even the worst neglected cars can be brought back to life with special care! The car itself provides plenty of ammunition. Bodies have better corrosion details and finishes are made to last and of better quality. Wax and polish formulations are superior and easier to use, as well, so this provides more than enough to work with to get good results! With the older vehicles, take special time and careful attention to the evaluation process. 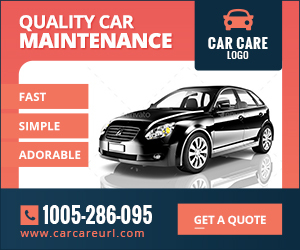 The condition of the car needs to be properly assessed before applying the product. Besides obvious wear and tear, look for a build-up of tar and other assorted grime to have built up over time. You will definitely need to work on stubborn spots, as well. Specialty cleaners should be used prior to waxing, such as a polishing compound. These work well to remove tougher stains and they will minimize the effects of deeper scratches. In all cases, be very mindful that automotive exteriors and finishes will change just as car-care requirements do.